Upon clinical examination, the mandibular left second premolar (#20) revealed an asymptomatic tooth with no sensitivity to percussion or palpation and Class I mobility. 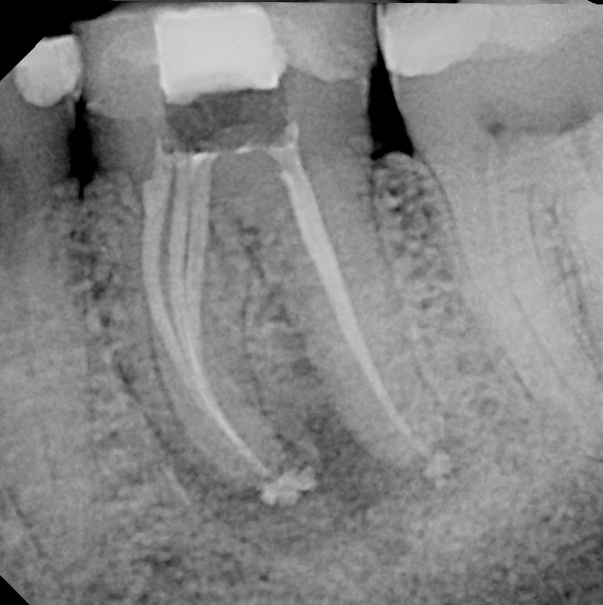 Post GentleWave® Procedure, at nine-month recall, clinical evaluation showed the tooth was asymptomatic. Radiographic evaluation showed complete bone regrowth and periradicular healing. This case is a beautiful example of the power of the GentleWave® Procedure with conservative instrumentation. Using VTaper 2H files to retain as much cervical root structure as possible, the Multisonic Ultracleaning® energy of the GentleWave Procedure allowed us to accomplish our goals for maximum cleaning and disinfection. Notice the secondary anatomy — areas clearly cleaned by the GentleWave® System — where I never introduced a file. 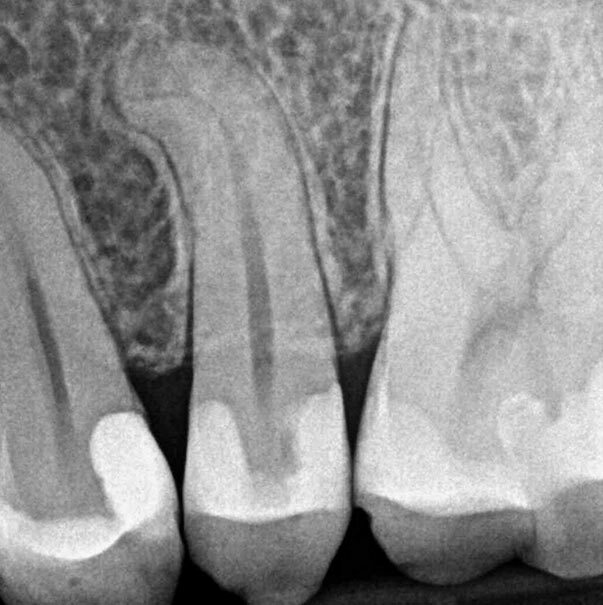 With the assistance of the GentleWave® Procedure, I was able to complete a very challenging root canal on tooth #13 in a single visit. The patient presented with pain (4 on a 10-point scale) to cold and biting for the past month. The canal anatomy corkscrewed, with the final 2 mm turning beyond a 90-degree bend. Ni-Ti hand files and rotary instruments couldn't access beyond the bend without significant unwinding and risk of separation. Working length was achieved with sizes 6, 8 and 10 K files. Final instrumentation to 25.06 was completed to the point where the file could reach, which was essentially before the apical curve. 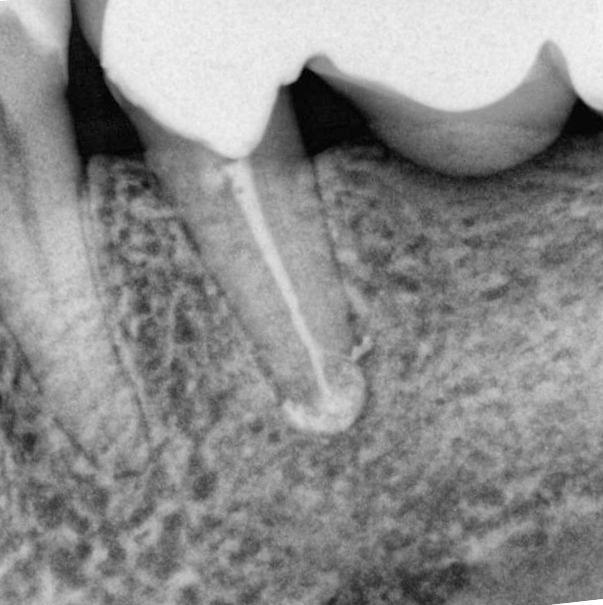 Following the GentleWave Procedure, the canal was dried and filled with BC Sealer™ and warm gutta-percha. 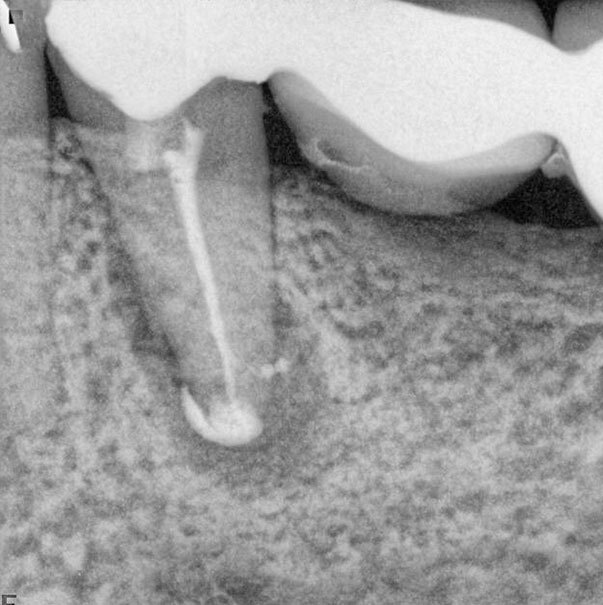 The post-procedure radiograph revealed apical deltas. Post-operatively, the patient reported no pain or swelling and a complete relief of symptoms. 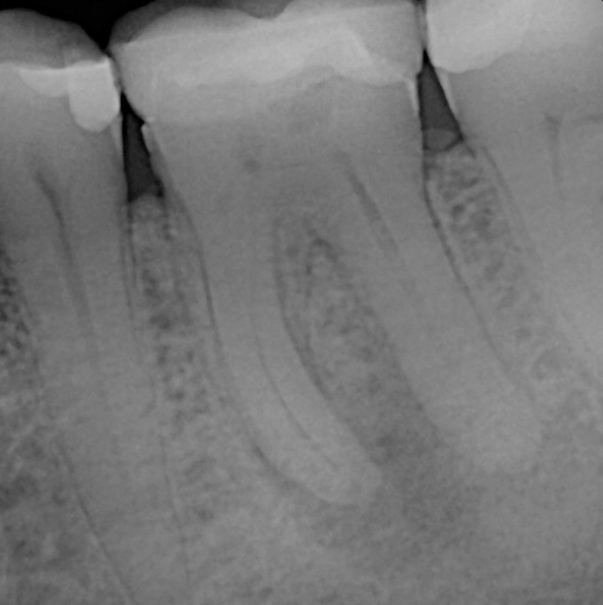 Before adopting the GentleWave® Procedure, adequate debridement of the canal—especially apical to the curvature—would have been significantly more difficult, and the risk of instrument separation would have been greater. 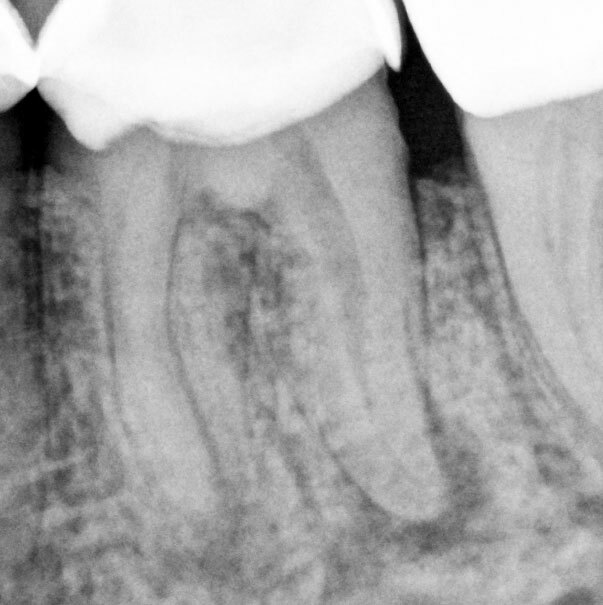 A 65-year-old female with no clinical symptoms was referred by her dentist, who noticed radiographic signs of bone loss surrounding the roots of her molar. In a single visit, the canals were cleaned and disinfected with the GentleWave Procedure. 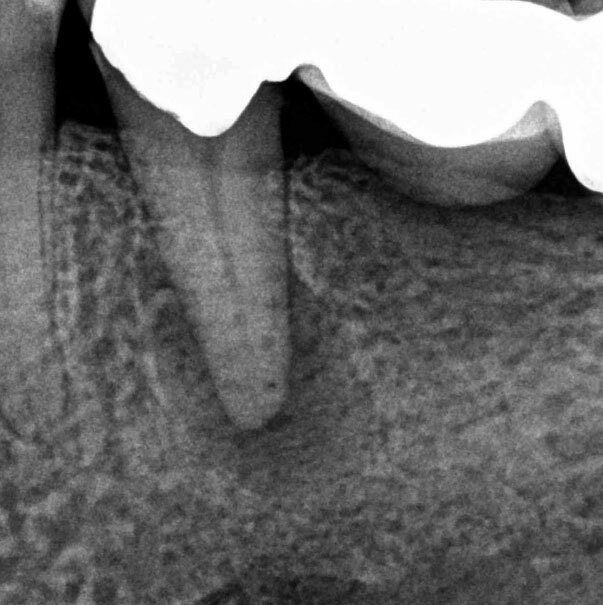 Eight weeks later, the periodontal reading at the distobuccal root surface measured 2 mm, and periapical imaging revealed extensive bone regeneration. Continued bone regeneration was evident at 3-month, 5-month and 13-month recalls. 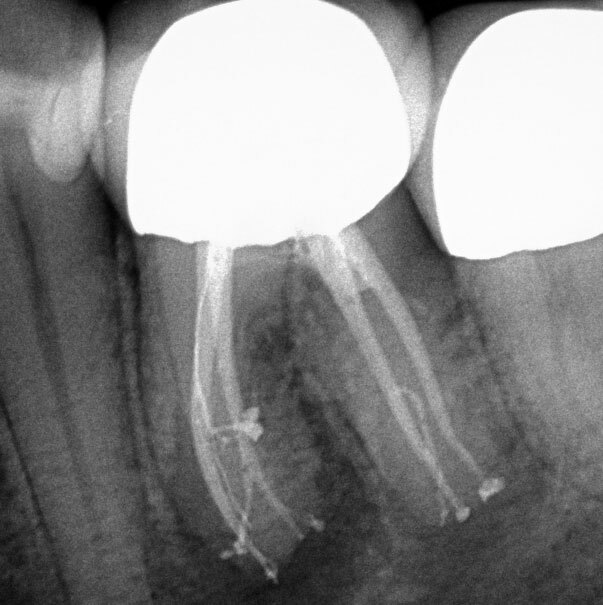 In a single visit, the cleaning ability of the GentleWave® Procedure revealed crazy anatomy on tooth #19. 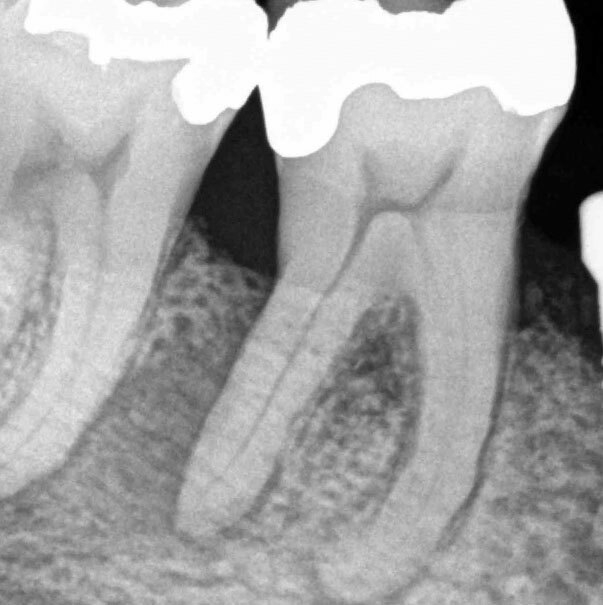 Patient presented with soreness and pressure around the gum tissue. 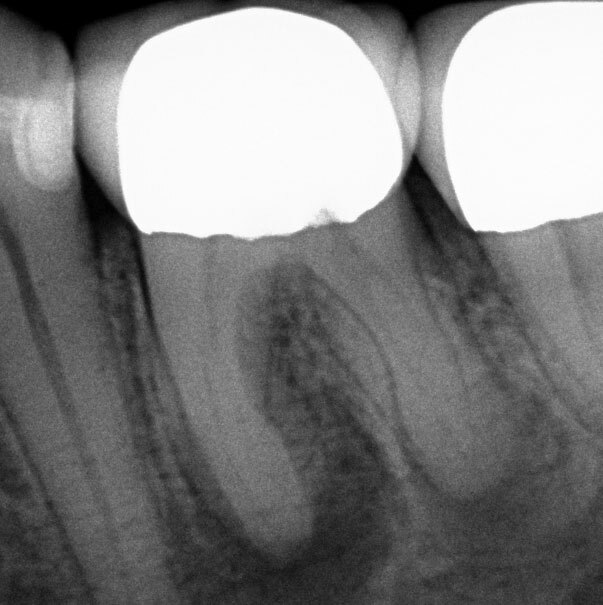 The tooth was diagnosed with pulpal necrosis and symptomatic apical periodontitis. 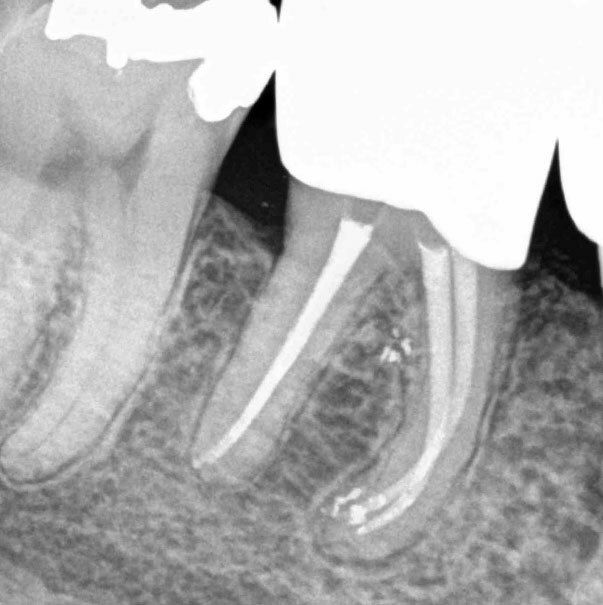 Following the GentleWave Procedure, the canals were obturated using gutta-percha points and ThermaSeal® Plus Ribbon® Sealer using a warm vertical method. 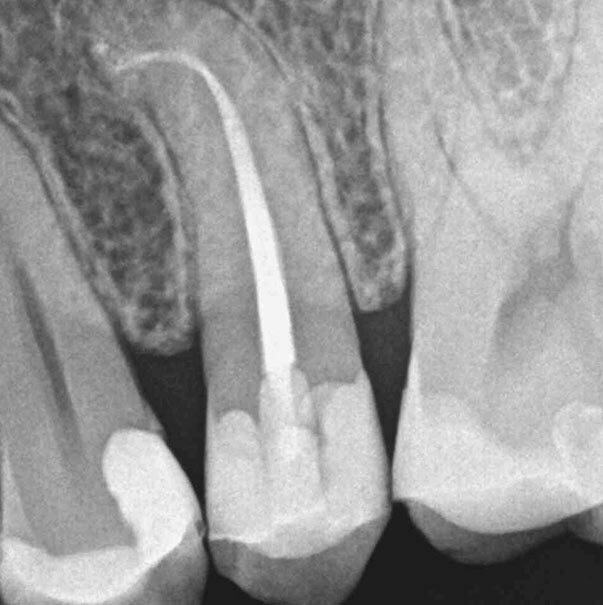 "In my experience, with standard RCT this case would have been completed with calcium hydroxide in a two-visit protocol. I was expecting to see anatomy but nothing like this." Seeing is believing with the GentleWave® System. Within the first week, I have already seen great results highlighted by finding undetected anatomy and receiving reports of minimal post-op pain. 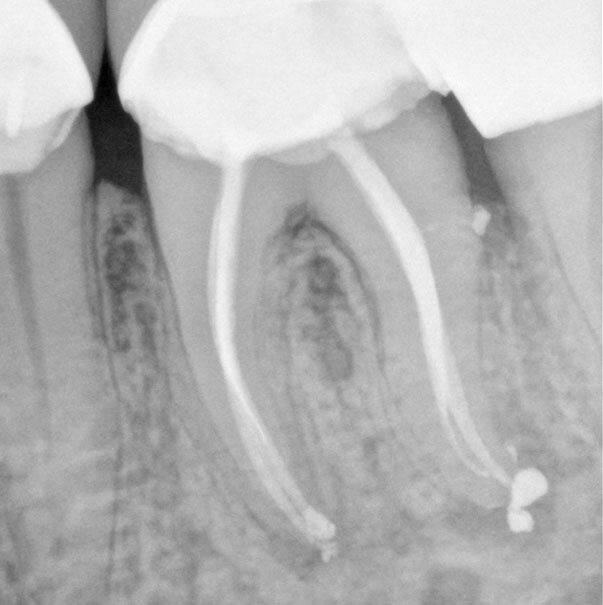 This particular patient was diagnosed with apical periodontitis, and three distinct canals were instrumented to a 20/.04 on tooth #19. The GentleWave Procedure revealed mid-mesial anatomy within two minutes of procedure start. The following day, the patient reported alleviation of all symptoms and the absence of post-operative pain. The GentleWave Procedure, at least in my practice, seems to be producing significantly less post-op pain compared to traditional measures, even with retreatments.